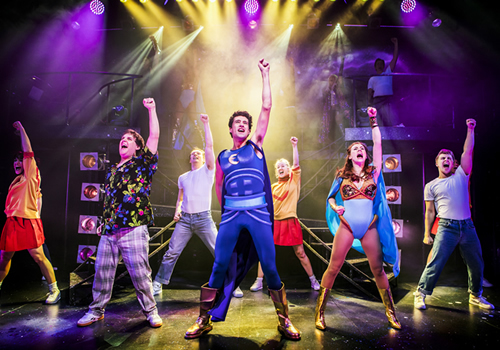 After a successful debut concert performance at the London Palladium, smash-hit new British musical Eugenius! returns to the London stage, playing a strictly limited season at Andrew Lloyd-Webber’s The Other Palace. Harry Potter and Willow star Warwick Davis produces, alongside Kevin Wood, after appearing in the concert-style production in 2016. 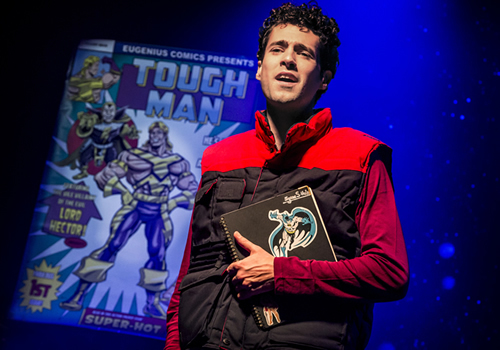 With a book, music and lyrics by Ben Adams and Chris Wilkins, Eugenius! is the funny and touching story of Eugene, a teenage boy with a penchant for comic book writing. Dreaming of far-away superheroes and villains, this might be the ticket to get him to create his own Hollywood comic book movie! Enlisting the help of his friends Janey and Feris, Eugene must discover what growing up really means, by finding the superhero within, defeating the villains and falling in love along the way. 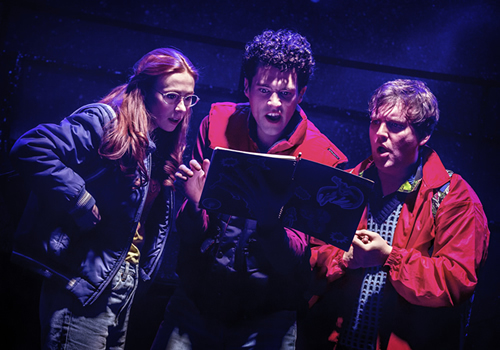 Receiving its first full-scale production, the musical was last seen at the London Palladium, in a concert performance starring musical theatre veterans including David Bedella, Marcus Brigstocke, Warwick Davis, Amy Lennox and Summer Strallen. 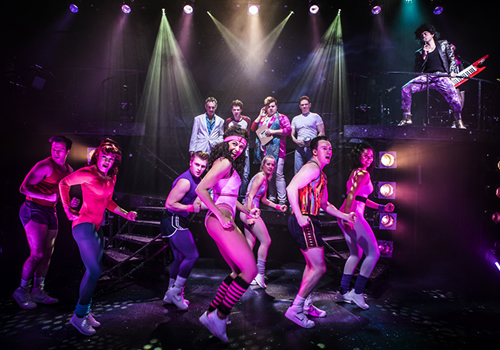 The production will feature the voice of Brian Blessed, and a sensational 80’s-inspired score, including “Comic Book Kind of Love” and “Go Eugenius”. Olivier Award-nominated Ian Talbot directs, after previously being the Artistic Director of Regent’s Park Open Air Theatre for 20 years, and helming productions including Annie Get Your Gun and Lend Me a Tenor. Eugenius! also features choreography by Aaron Renfree, design by Hannah Wolfe, sound design by Gareth Owen and lighting design by Andrew Ellis, with musical direction by Darren Lord. 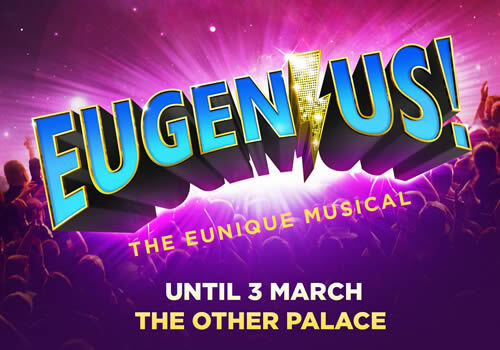 Featuring a hilarious and scintillating script that will have you laughing and punching the air, Eugenius! plays at The Other Palace for a limited season, from January 22nd to March 3rd 2018, with an official opening on January 31st 2018. Eugenius! is suitable for those aged 12 and above.